Corporate gift giving is part and parcel for almost all company culture. Corporate gifting is not limited to festivals and occasions anymore. 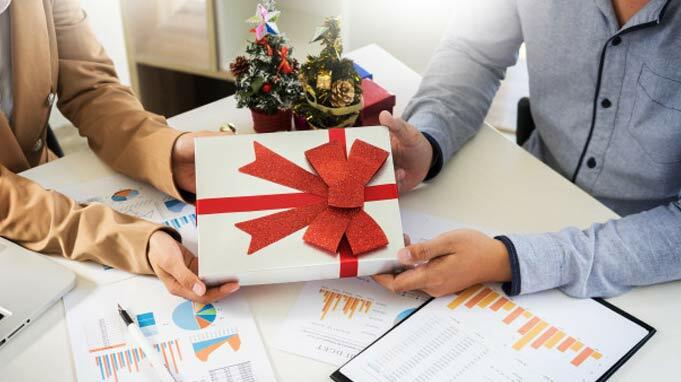 Companies at every level, small, big and multinational, take an active part in the corporate gift trend to recognize their employees' hard work and efforts. Corporate gifts help to convey the message of employee appreciation, encouragement, and inspiration within the company. It also helps you build a strong relationship with your employees and also gives them a sense of recognition. Corporate gifting is not an easy task as it sounds. Knowing all your employees’ likes and dislikes is not practically possible. Therefore, the chance of going wrong is higher here than in personal gifting. 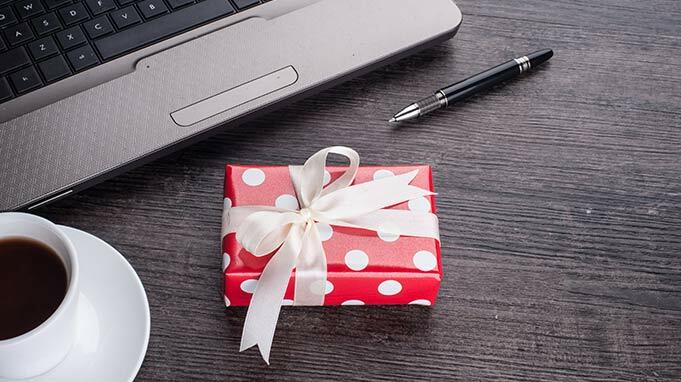 Remember you are giving away gifts to your employees and they are the most important resources of your company. Therefore, you can’t afford to go wrong here and discord the work environment. It always feels great when you receive a gift which has someone’s dedicated idea and thought behind it. It's just like a handwritten note as compared to a printed letter. The former always gets the preference since it has a human touch and feeling attached to it. The same goes for corporate gifts. Going a little extra mile for your employees would make them appreciate you more and would also give them a sense of motivation and recognition for the hard work they put for the company. Gift the music lover a Bluetooth speaker or headphones. A kindle for the one who loves reading books, Sports products for sports enthusiasts and so on. Your arrow may not always hit the target. So providing your employees point-based rewarding system can be one your best moves. This would give your employees the choice of buying products/services from the wide pool of brands from categories like merchandise, travel, lifestyle and others. We live in a tech-savvy world and our indulgement with technology is only going higher. So gifting electronics like a smartwatch, headphones, portable chargers, speakers, etc. is always one of the best gifting options. Eco-friendly corporate gifts are quite a trend now. It not only gives a sense that we care about our employees but also the planet we live in. Anybody from the manufacturer to the consumer wants to adapt to sustainable living or at least have thought about it. So eco-friendly gift giving is always a good idea. Bamboo USB drive, bamboo mugs and water bottles, notepad made out of recycled paper and recycled tote bags etc. Boring and plain office accessories are so old school. Gift quality desk accessories like a metal pen, personalised stress balls, personalised desk clock, notepads, sippers, diaries, cardholders and charging station etc and make your employees’ desks more trendy. Travel accessories are another corporate gift option. Gift your employees who travel frequently for work and also travel enthusiasts the perfect travel accessories. Power bank, neck pillow, eye mask, sleeping bag, safety locks, shoe cover and camera are the best travel accessories you can gift. These are not the only gift ideas you can choose from. You can always look for ideas which go well with your workplace culture and interests. Braja Deepon Roy is a Content Writer at Vantage Circle, an Employee Engagement, and Employee Benefits Platform. He has an inquisitive nature and is passionate about books and travelling.